When it comes to the holidays, we like to get clever. We're all about the simple ideas that can feel surprisingly precious — and the cheaper, the better. Here, some easy DIYs, ideas, and products to scope out as you go about crafting your holiday plans this year! 1. 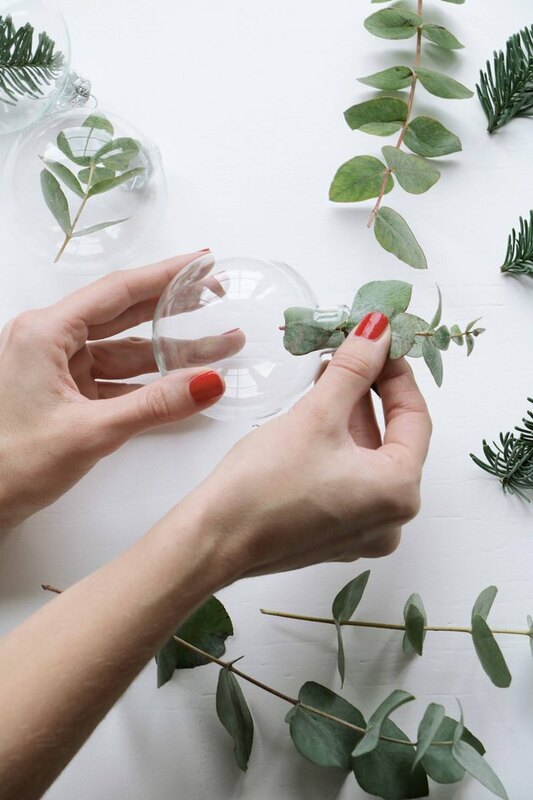 Fill clear ornaments with greenery. This is so easy, it's insane. All you have to do is pick up some clear ornaments ( Michael's sells a 25-pack for a mere $11.99 ) and fill with sprigs of longer-lasting greenery: think eucalyptus, mistletoe, holly, or even trimmings/extras from your tree. 2. 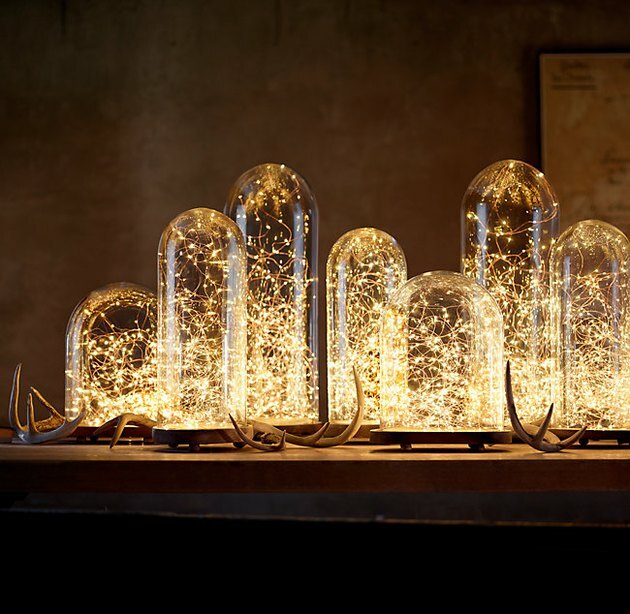 Fill glass vessels with twinkle lights. 3. Tap into 2017's greatest trend. 4. Studio apartment? 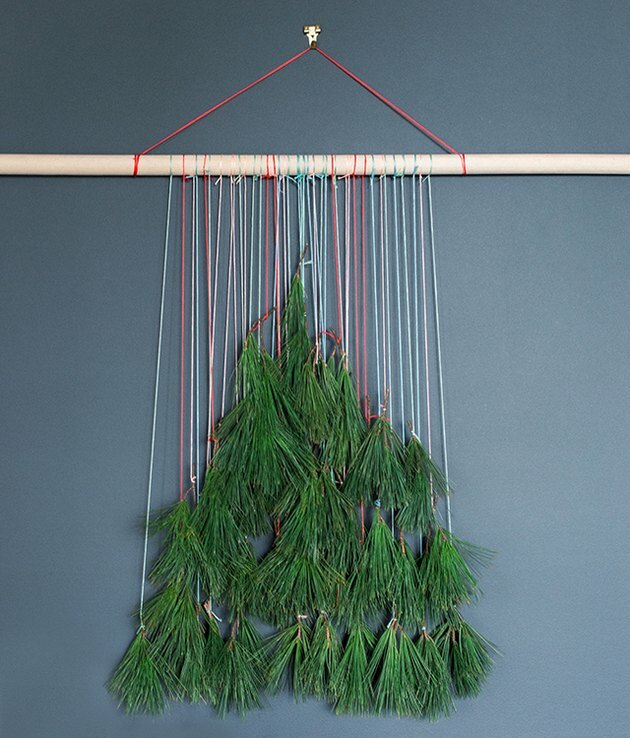 Skip the tree and do a boho wall hanging instead. This genius DIY from Snippet & Ink shouldn't cost you more than a couple bucks. 5. 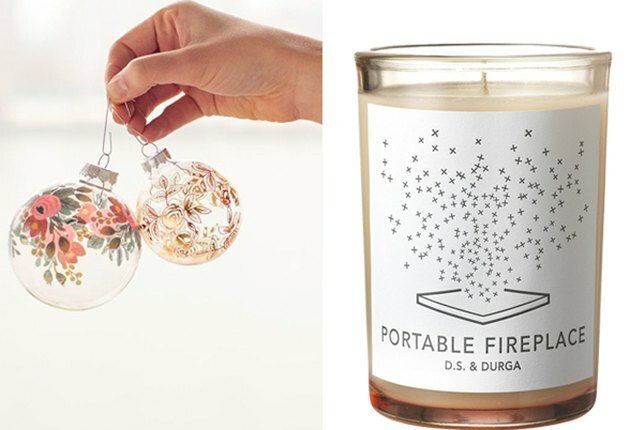 Try a "portable fireplace" to bring a wintery aroma to your home. No fireplace? Or maybe you live in a city and are craving a country winter wonderland? Turn on that TV yule log and spark up this candle by D.S. 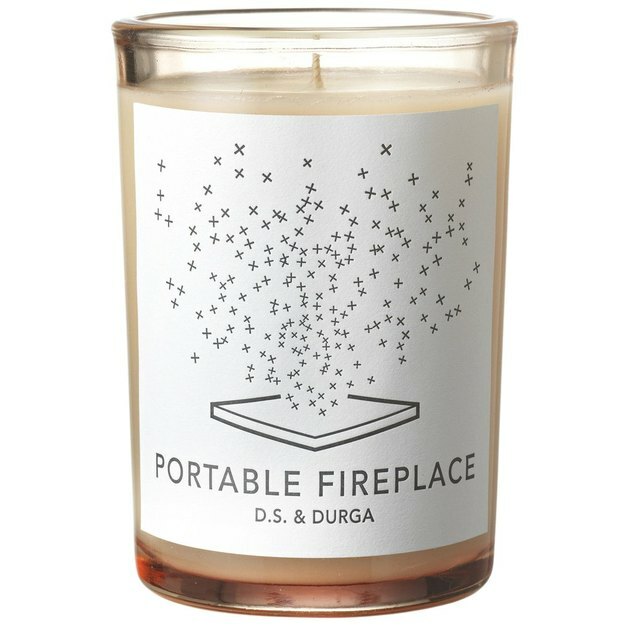 & Durga, which will make your place smell like comforting, burning wood. 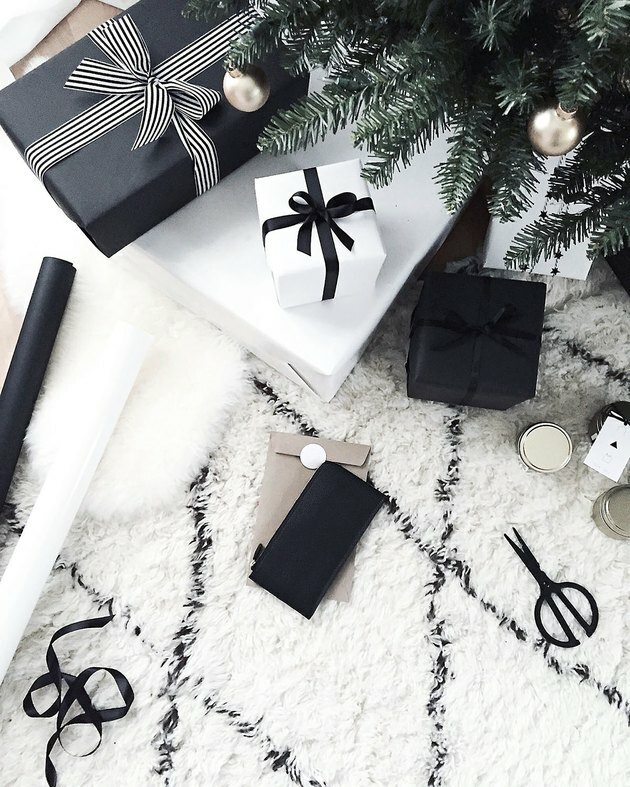 "Festive" no longer means cramming your home with every last bit of Santa's workshop. 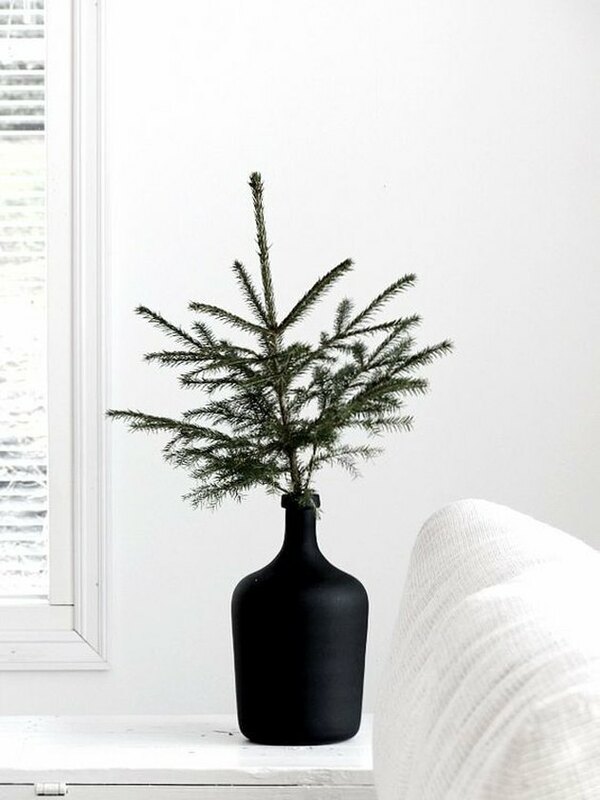 Why not place a single treetop or branch in a ceramic vase? 7. Customize your ornaments with removable tattoos. 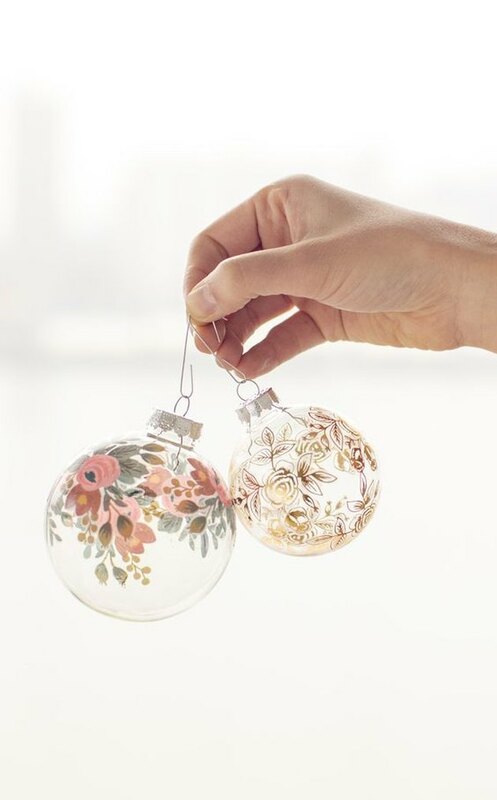 Another great way to put your clear ornaments to use: Simply stock up on temporary tattoos in your chosen theme, apply to the ornaments, and voilà: "designer" holiday decor. These particular tattoos come from Tattly. 8. Go glitter or go home. 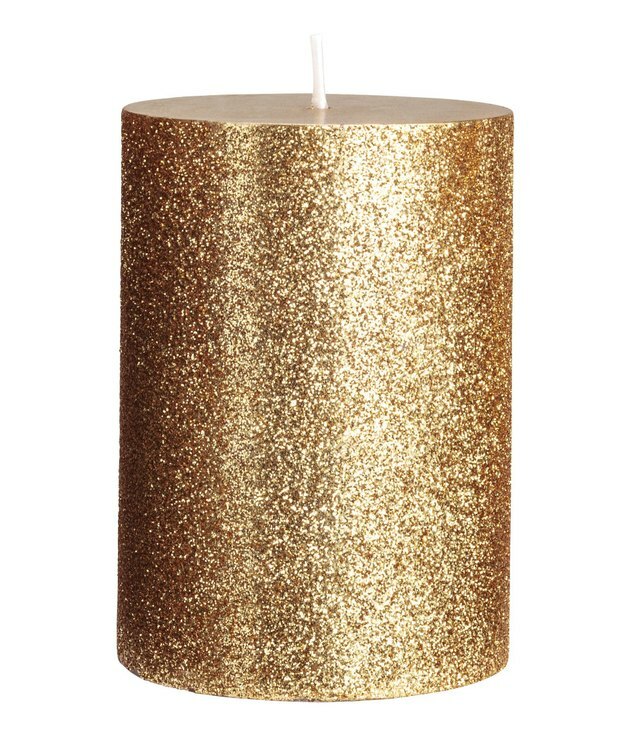 H&M's new holiday collection includes these glitter candles that we just can't get over. At only $4.99 a pop (and also available in silver and red), you could buy a bunch of these to create a shimmering display of candlelight. 9. 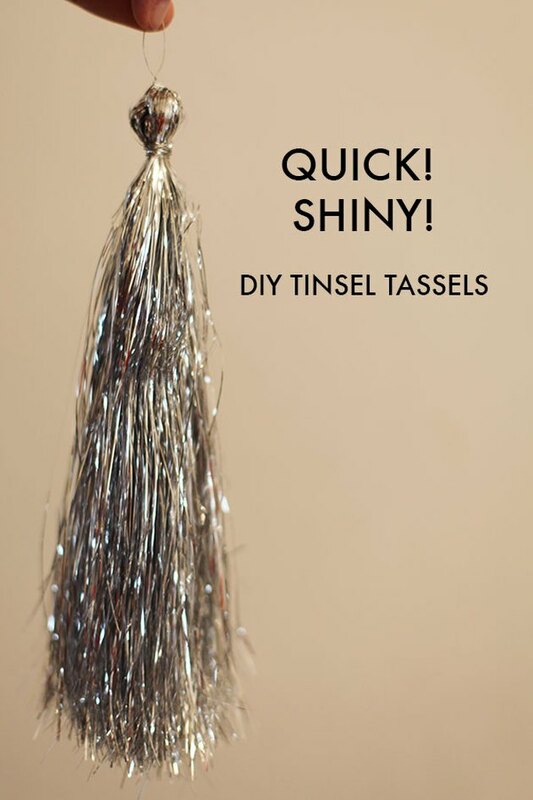 DIY some tinsel tassels. DIY tissue paper tassels are so last year. This year, try making little bunches of tinsel for extra tree sparkle, garlands, or gift-toppers. Get full instructions at Mighty Girl. 10. Use tree trimmings to create minimalist wall decor. 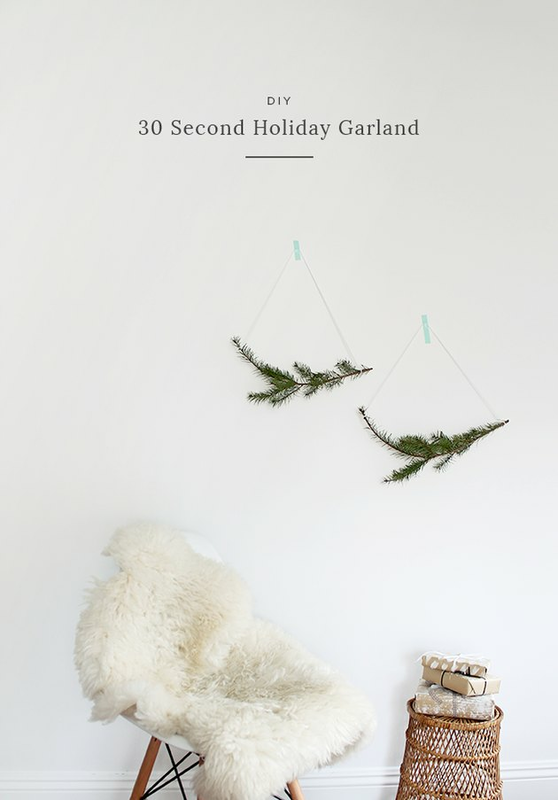 This "DIY 30 second holiday garland" by Almost Makes Perfect is a clean and modern way to bring a festive mood to your space. We also love the colored tape as a last-minute detail that gives it an even more of-the-moment feel.